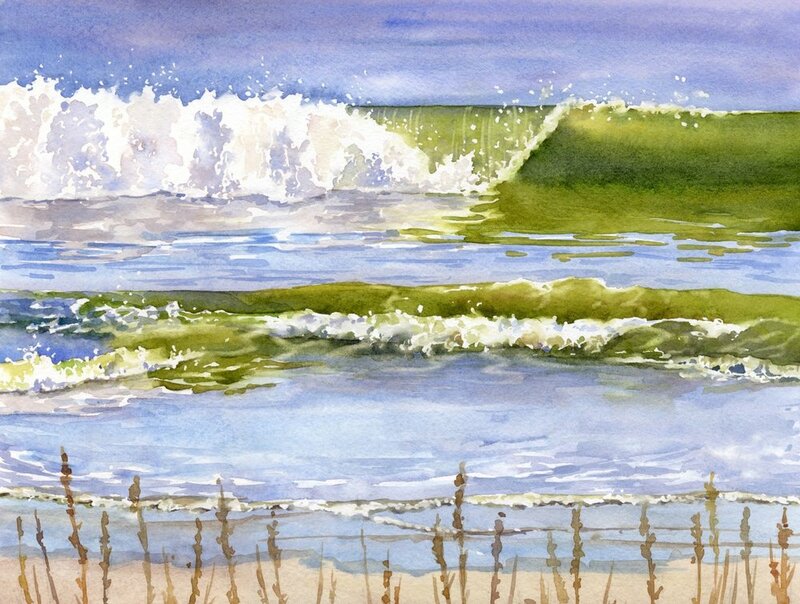 Story Behind This Painting: I spent a week in South Carolina at Myrtle Beach taking a workshop a few years ago. The venue for the workshop was right on the beach and it was wonderful to be working on my painting and then look through the window and see the beautiful waves crashing on the shore. I took many pictures of the waves during our breaks and in the evenings with glowing sunsets. In this view, there was a greenish glow to the curl of the breaking wave.